Catalog Page 24. Custom 6" Brite plush Teddy bears for sale. Order multiple colors. The 6" GB Brites are available in blue, yellow, purple, white, black, orange, red and green colors. 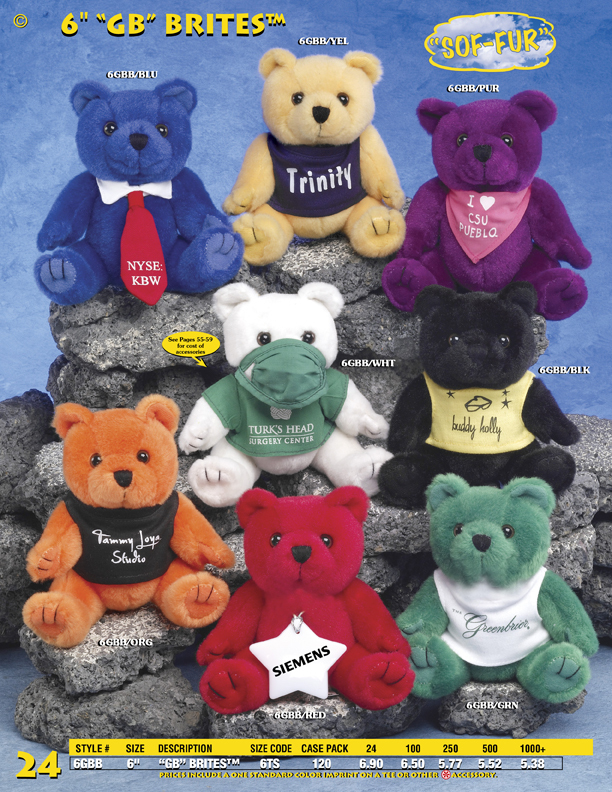 You can use these different colored bears to represent the theme of your holiday promotion. Red for Valentines Day and orange for Halloween. These bears make a great promotional giveaway.